As the old adage goes, behind every successful man is a woman, and behind every bigly successful man is a Putin. Since Mitt Romney, a man who shares a complicated relationship with Big Bird, was made a laughingstock for claiming Russia to be America’s “number one geopolitical enemy” in 2012, Russia has become a thorn in democracy’s side. Russia has since invaded Ukraine and annexed Crimea, become a key player in the conflict in Syria, reignited tensions with NATO, and helped America break the orange ceiling by potentially ushering in President Trump’s reign. Americans today are far less hesitant to consider Russia a chief threat to U.S. security than they were during the Cold War. And that could become problematic as Russia’s power extends into the sphere of American domestic politics. To understand the recent return to the plot line of almost every 80s film, we have to examine the current Russian leadership. Today Russia is Putin and Putin may or may not be 1600 Pennsylvania Avenue. Many believed the collapse of the Soviet Union signalled the indisputable dominance of Western liberalism, however a frequently shirtless Putin has been determined in spearheading the dismantlement of such beliefs. The return of the definitely-not-a-comic-book-villain Vlad to the helm of the country for a third time in 2012 was the culmination of over a decade of power consolidation and the recent willingness to challenge the West. A KGB-bred vision for Russia has become realizable in the context of domestic popularity for Russian strength and division amongst Western powers. A product of the power of the Soviet Union at its height and a witness of its collapse at the front-lines, Putin’s worldview has always been a zero-sum realpolitik philosophy that resonated with a constituency who are familiar with conflict. Despite the socioeconomic issues plaguing the country, his strong rhetoric on returning Russia to its former perch in world politics has translated into popular support among Russians. 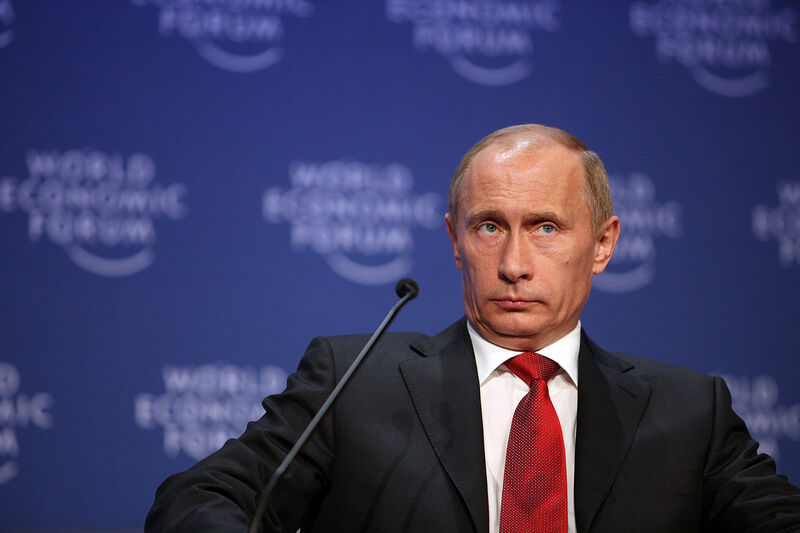 Within this context, Putin inherited a world ripe with opportunity. Standing atop a war in Syria that has become an international spectacle, a liberal West grappling with right-wing populism, and a Sylvester Stallone too old to jump in the ring with Drago again, Russia has begun to lay the groundwork for a new wave of sustained influence in global affairs. Since Putin’s “paradigm-shifting speech” the day following the annexation of Crimea, he has flexed both military and diplomatic muscles with the deployment of weaponry and the scrapping of decades old nuclear agreements. The unprecedented use of cyber warfare in tandem with the dissemination of misinformation aimed at destabilizing domestic politics in Europe and the United States has amplified whispers of 21st century Cold War parallels. A player re-entering the game after a long spell on the sidelines, Russia now brings a new element of unpredictability to ever-expanding global conflicts. Following the rocky first meeting between the leader of the free world, Angela Merkel, and Twitter personality, President Donald Trump, Russia will surely benefit from growing tensions among Western allies.